Each May, Alumni join together to provide a brunch for the graduating seniors. This is typically on the day the Seniors receive their yearbooks. Alumni Association members provide financial assistance, time (serving/preparing food), and/or food for the brunch. The Association offers a two-for-one membership opportunity to the Seniors. Seniors dress up and enjoy the delicious feast provided for them. The Senior Brunch date for 2019 will be posted when we receive notification after January. Funds are always appreciated and volunteers to help are welcome! To participate in the Senior Brunch for the Class of 2019, please contact us at info@cshs-palmer-alumni.org. 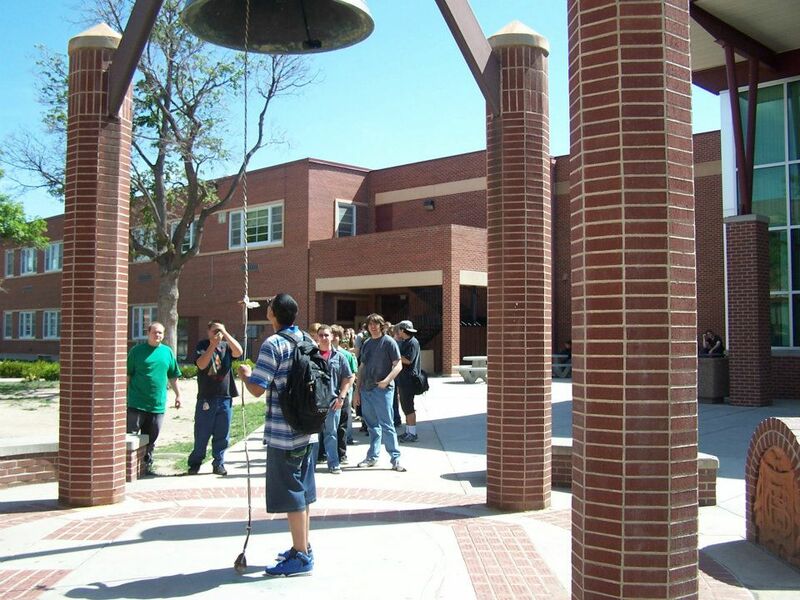 Members of the graduating class ring the bell after Senior Brunch. Tables of food prepared by Alumni volunteers awaiting the senior class at Senior Brunch.